Camp Knutson is a camp for youth and adults with developmental, medical or other identified needs. We partner with other organizations to host camps. Serving over 1,100 campers every year, we offer customized medical and program support to make it possible for each camper to fully participate. 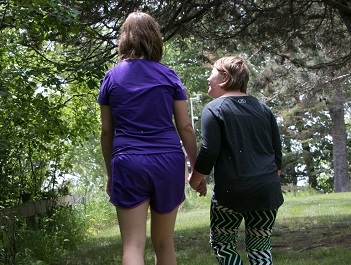 Our campers experience the opportunity to let their worries rest while they connect with others who share similar life experiences. Our intentional, nurturing camp culture inspires hope and gives our campers courage to embrace the future. Our beautiful, lakeside campus is fully accessible and has modern, comfortable cabins. Camp Knutson is a great place to make new friends and have fun. Our camp staff are trained to offer the right amount of support and accommodations needed to make sure each camper finds success and is able to participate at the level they’re comfortable with. We encourage campers to try activities that challenge them and help them learn about their strengths. The health and safety of our campers is a top priority at Camp Knutson. We anticipate and manage risks through our well-trained staff, focus on safe behaviors and offer on-site medical care. 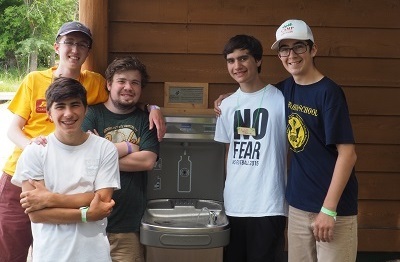 Camp Knutson partners with other organizations to provide a safe and fun-filled camping experience for youth and adults with identified needs. We love to develop relationships with organizations who share a similar mission and passion for supporting those who need it the most. Our fun-loving, well-trained program staff supervise camp activities and help develop recreational plans for campers. Participants often adapt to camp experiences quickly when they know what to expect. To prepare for a comfortable transition, please review preparation information with your camper. Our upcoming camps include programs for individuals with autism, Down syndrome, heart disease, skin conditions, burn survivors and more.